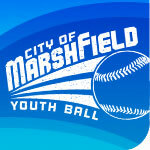 The City of Marshfield offers Youth Soccer in the Spring and Fall, Youth Baseball/Softball in the Summer, and Adult Softball in the Spring and Fall depending on interest. All games are held at at Rotary Park. 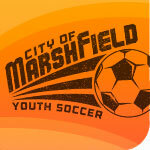 The city-sponsored co-ed league is open to all children ages 2-14. Fees include a T-shirt uniform. Sign ups for fall league take place every August at City Hall with games beginning in September. Spring league registration begins in March, with games starting mid-April. All matches are held on Saturdays. The City offers youth baseball and softball programs to children ages 4-14. Registration is held in April at City Hall. Fees include a T-shirt uniform and hat/visor. Leagues include co-ed T-ball, coach pitch, and player-pitch baseball and softball leagues. The six-week program guarantees a minimum eight-game season during June and July. 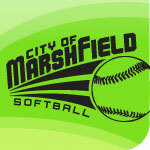 Marshfield offers multiple adult-league opportunities. Co-ed softball leagues are offered nearly year-round as are non-league related tournaments. Depending on level of interest, the City also offers leagues for other sports as well. Contact Parks & Rec for more details.